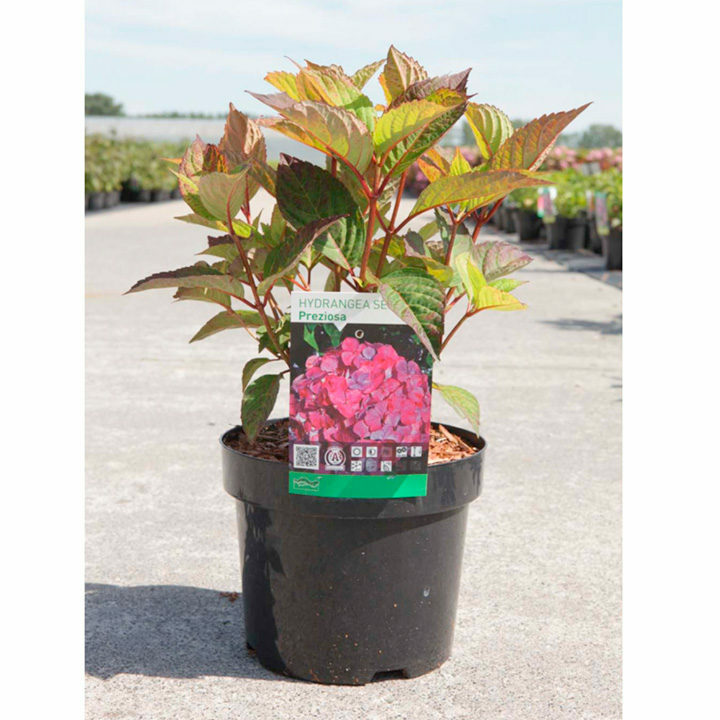 Hydrangea 'Preziosa' is a deciduous shrub with large, purple-flushed green leaves and quantities of round mophead-style flowerheads in late summer and early autumn. Flowers start out deep pink and gradually mature to reddish-purple. Hydrangeas need a soil that does not dry out in summer, and do best in partial shade. RHS Award of Garden Merit winner. Height 90-100cm. Supplied in a 3 litre pot.